The Titleist brand has expanded from it's humble beginnings in the 1930s to the worldwide success we recognize today. Titleist products are known for their precision craftsmanship, clean design, and world-class performance. The company began by selling golf balls, which have become the most played golf ball on the PGA Tour. Their clubs have also become a success, used by some of the top names in the game. Professionals like Jordan Speith, Justin Thomas, and Adam Scott all trust their game with Titleist equipment. Here, you'll find our selection of used Titleist drivers, used Titleist irons, used Scotty Cameron putters, and more! 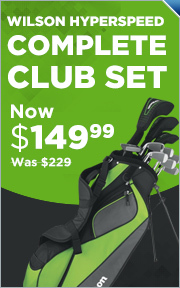 We offer a large selection of Titleist golf clubs to fit any skill level.